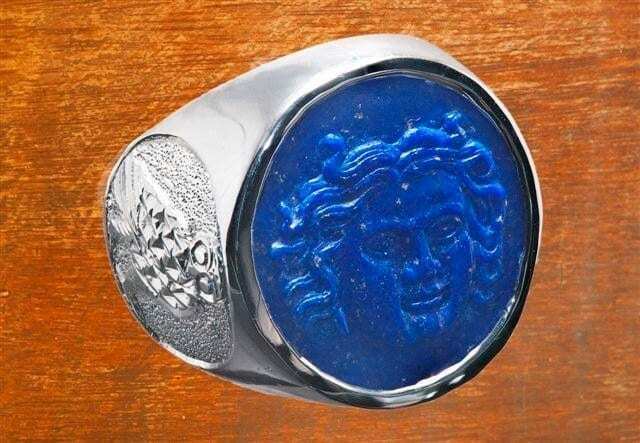 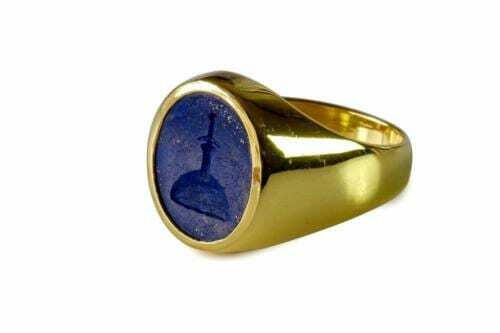 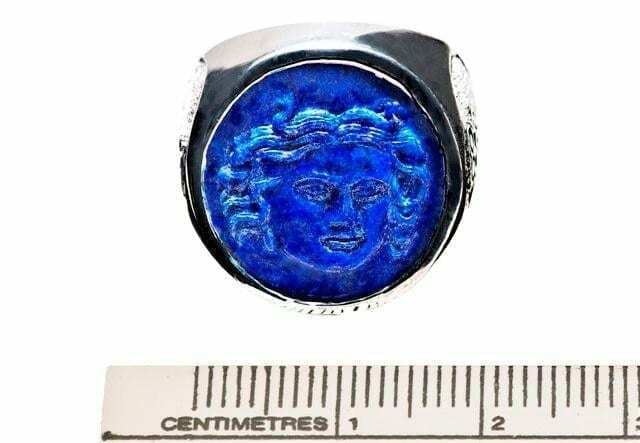 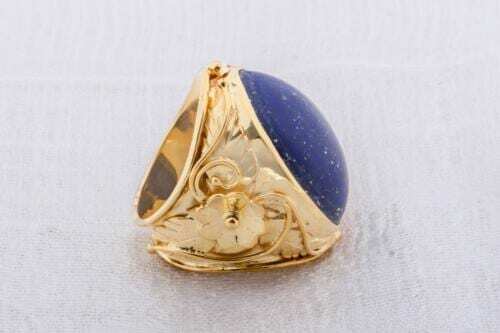 We crafted by hand this wonderful image of Helios The Greek Sun God on top quality natural Lapis Ring—The blue so like the blue seas around Rhodes and the Greek islands. 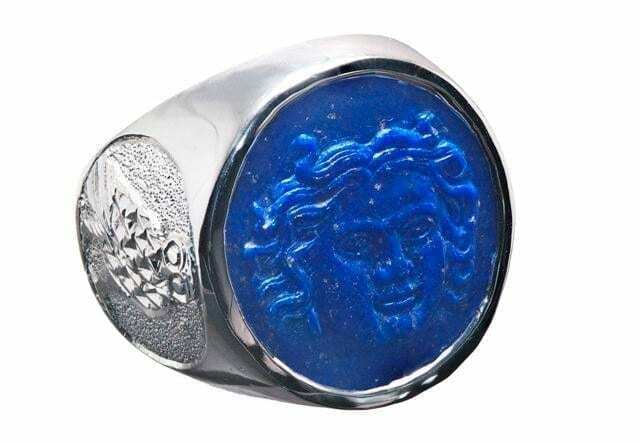 On the ring shoulders we embellished the mystical Owl Of Athens to be your cheerful and wise companion while wearing this stunning Regnas hand carved lapis ring. 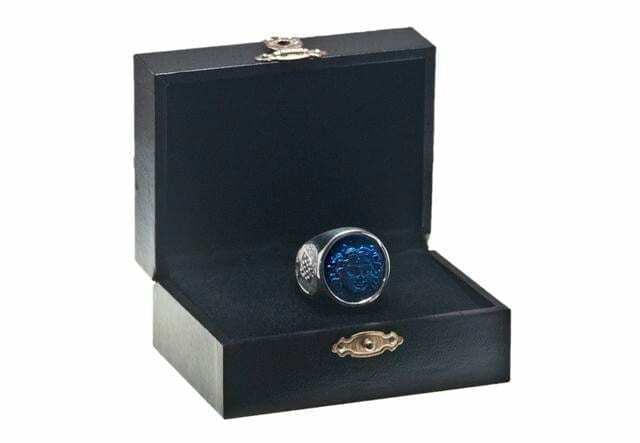 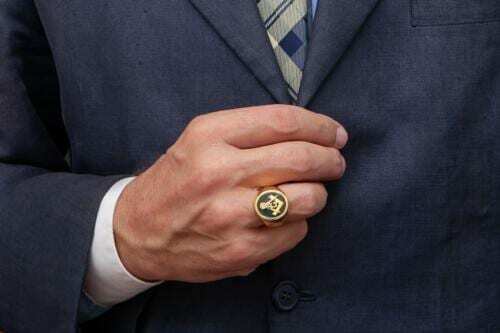 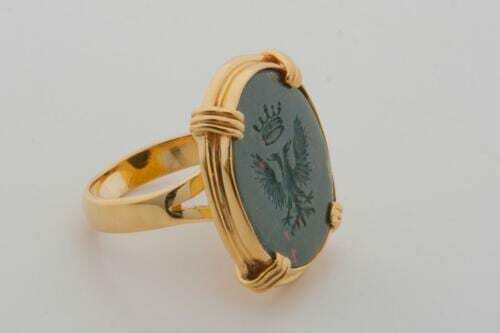 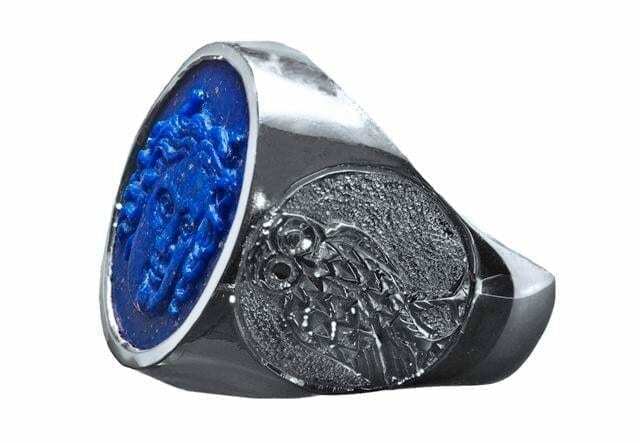 The roundel stone is mounted to a sterling silver body which features The Owl of Athens on the shoulders thus adding to the great interest of this amazing ring.